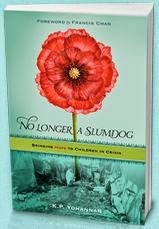 Free Book No Longer a Slumdog. Just click the link below to get it free @ Focus on the Family. Let God stir your heart for some who are truly in need — thousands of children living in slum conditions throughout South Asia. as you read about this amazing move of God happening right now.